“Qi GONG” IS AN ANCIENT ART AND DISCIPLINE UTILIZING THE VITAL RESTORATIVE AND BALANCING ENERGY KNOWN AS “Qi” FOR MARTIAL ARTS AS WELL AS HEALING. Immune System: More active immune cells, better targeting of antigens, significant anticancer effect. Circulation: Improves micro circulation, peripheral Demarcus Lawrence Jersey circulation, prevents vascular spasms: very helpful for Raynaud’s syndrome, angina, migraine. Cardiovascular: Lower resting heart rate, less abnormal EKG, greater cardiac efficiency, stabilized blood pressure, less LDL (“bad cholesteroPO, more HDL (“good cholesterol”). Digestive: Massages internal organs, improves peristalsis and appetite, less pathogenic bacteria in feces (healthier micro flora). Positive effects on ulcers and constipation. Brain: Slow, high-amplitude brain waves, improved cerebral blood flow, less incidence of stroke helpful for paralysis and seizure disorders. Mental Health: Decreased: stress response, Type A, anxiety, obsessive-compulsive, depression. Improved: memory, concentration, interpersonal sensitivity. Respiratory: Slower respiratory rate, improved gaseous exchange, significant positive effects on asthma and bronchitis. Musculoskeletal: Increase strenght, flexibility, bone density, improved coordination, benefitcial for arthritis and osteoporosis. Qi Demarcus Lawrence Authentic Jersey Gong exercises are also called “metabolism exercises” “cleansing the bone marrow” and “Imperial exercise”. For thousands of years,these exercises were kept secret, exclusively practiced by Wu Dang sect member, and shared only with the Imperial dynasties of China. 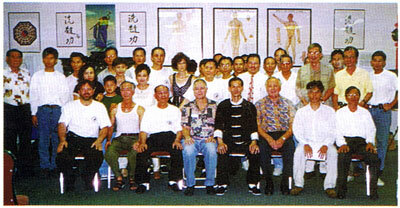 The Imperial families learned how to enhance their bodies and increase longevity, the energy balancing exercises are now taught to students by Master HAO and are remarkably effective in treating problems such as back pain, high blood pressure, tinnitus, anemia, hearing or vision loss, arthritis, male sexual dysfuntion, kidney deficiencies, memory difficulties, etc. Students can learn the basic techniques and lifting exercises (for men), achieving good results within three months. FOR INCREASED LONGEVITY AND ENERGY? You can feel better and enhance your body with the Power of Qi Gong. 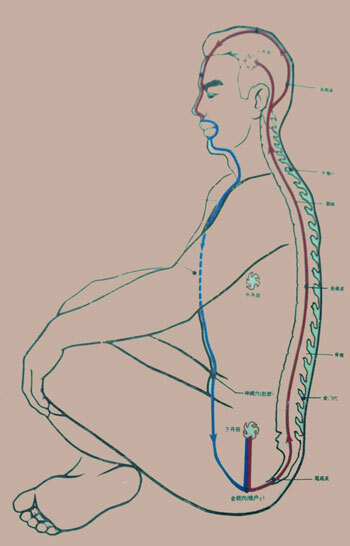 Qi Gong is an ancient art and discipline utilizing the vital restorative and balancing energy known as Qi. Qi Gong exercises are also known as “metabolism exer­cises.” For thousands of years, these exercises were kept a secret for the exclusive use of the Imperial Dynasties of China. The Imperial families enhanced their bodies with increased energy, improved health, and longevity. Now you can learn these same secrets from Demarcus Lawrence Womens Jersey Master HAO. See for yourself with this limited time offer. A free introduc­tory session with Master Hao. He will personally introduce you to the priciples and exercises of Qi Gong to start you on your way to better health and well being. Drawing on ancient traditions said to go back at least 3,000 years, Oriental movement and balance therapies aim to affect the flow of life energy, or chi(Qi). They encourage sensitivity and flexibility in the body while at the same time utilizing breath control and an inner focus to free up energy blockages and increase energy levels. T’ai chi and Qi gong are practiced on a daily basis by hundreds of millions of people in China where they also form part of normal hospital therapy. the male sexual organs. This student came to us concerned about impotency. After 3 months in our program, he had no complaints! Are your Worker’s Compensation expenses sky rocketing? Are your looking for a way to control your expenses? We can show you how to take a proactive approach to controlling your costs and you can improve the overall health of your employees in the process. You and your employees can only benefit from our comprehensive program. In fact, Master Hao is so sure that your company will benefit from this unique program, that he is offering you a no obligations demonstration of Qi Gong techniques. We know that once your are introduced to this time-honored technique, you will immediately see the benefits for your company and your employees. After all, healthy and happy employees can only boost their productivity and decrease your expenses. If you are looking for a ways to reduce Worker’s Compensation costs and boost employee productivity, our QiGong For Business program is what you need. This program has been designed to introduce your employees to the techniques which will ensure that on the job injuries are reduced. You employees will benefit from in­creased energy and improved health an added benefit for your business. 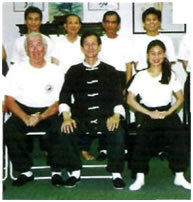 Call Master Hao today and he will be happy to answer any questions you may have or schedule your personal demonstration.